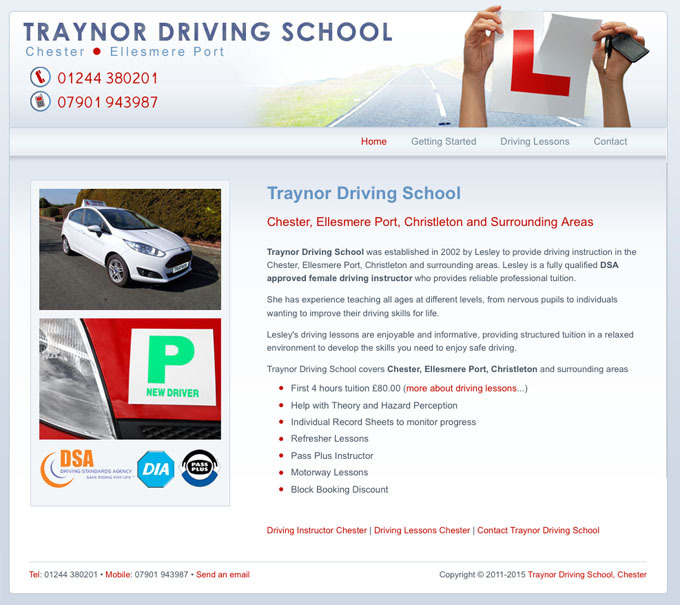 New website design for new driving school business in Chester and Ellesmere Port area owned by a lady driving instructor. A simple starter website was required for this new driving school business. We produced a design visual based on discussions with the client on ideas for banner images. The client was keen to promote herself as a female driving instructor as she believed this to be a strong selling point, so we optimised one of the web pages for this search term and managed to achieve high positions for *female driving instructor chester* and *female driving instructor ellesmere port*.